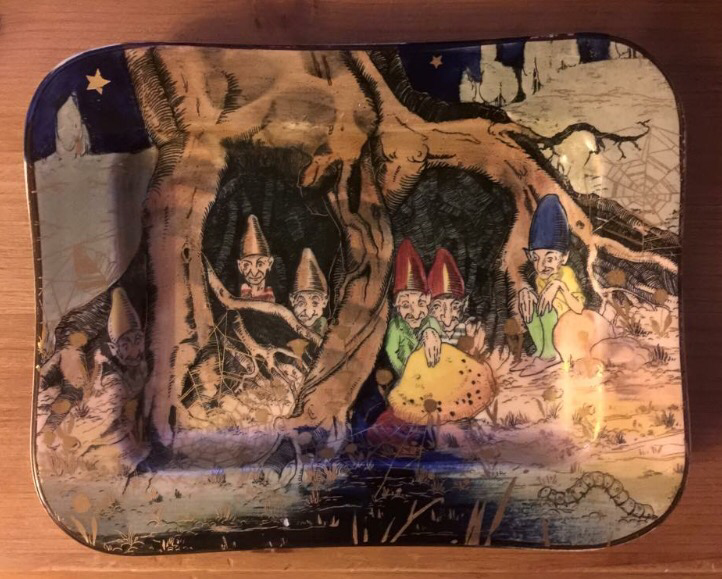 Collecting Doulton’s famous Gnomes ‘B’ seriesware. 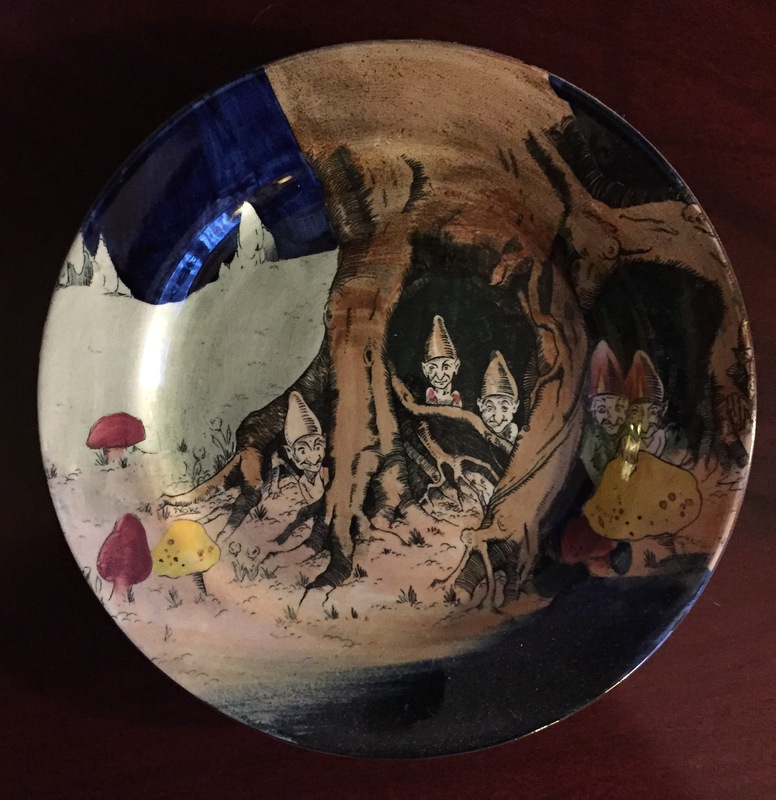 Often referred to as the Doulton version of Wedgwood’s famous Fairyland Lustreware, the Gnomes pattern illustrated is derived from drawings by the great illustrator Arthur Rackham for Peter Pan in Kensington Gardens, which also provided the inspiration for Doulton’s early figurine Pretty Lady who is based on an illustration for Wendy. 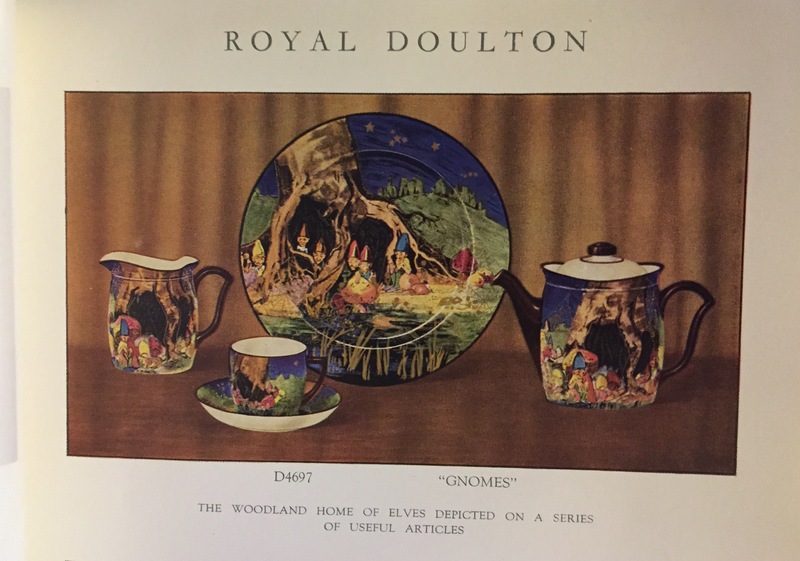 The designer of this Doulton pattern is of course Charles Noke, then Art Director at Doulton’s Burslem factory. Introduced c.1925 it is a perennially popular pattern that collectors clamour for when it does turn up at auction or through dealers. 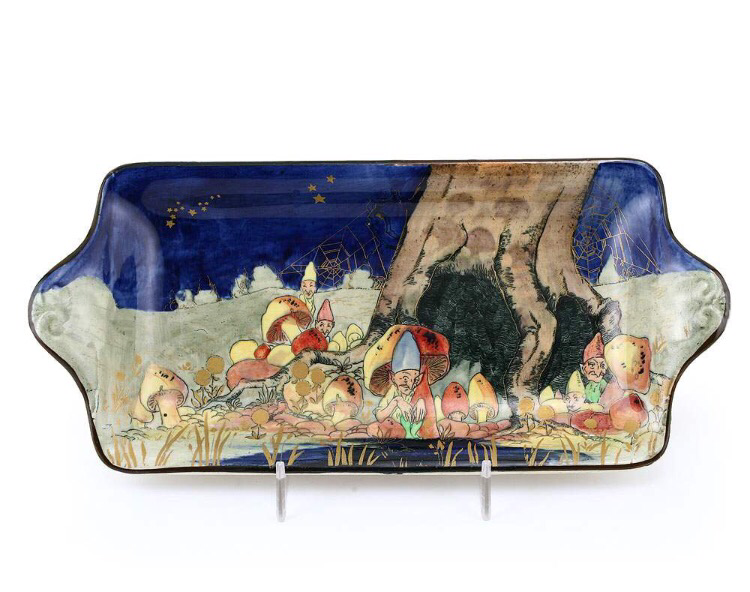 Although in production until c.1950 examples of it are hard to find and typically teawares are what do turn up in the form of plates and trios. Early catalogue page featuring Gnomes ‘B’. 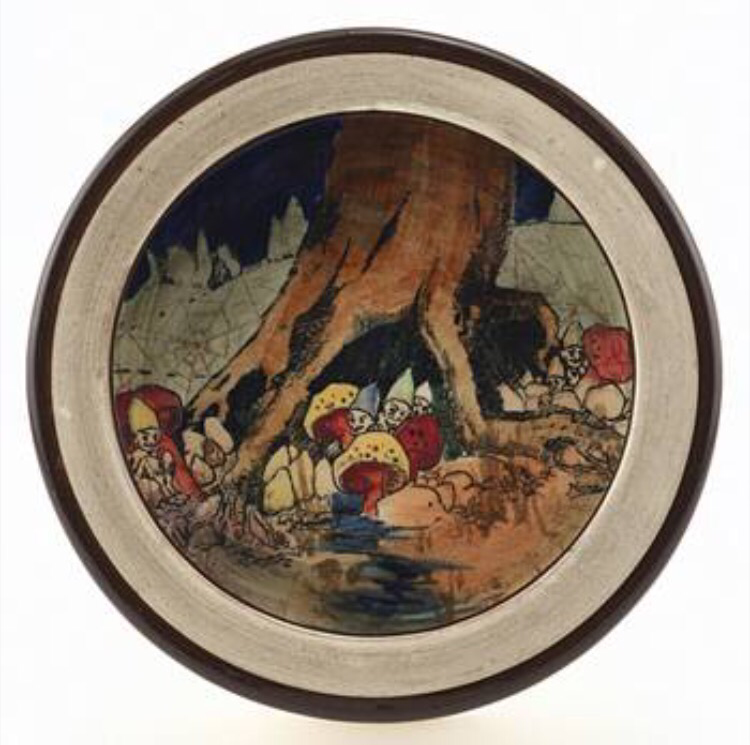 There are five recorded scenes as listed by Louise Irvine in her book Series Ware Vol.3, although again it is scene 1 which is the most frequently found, again on plates. As with all seriesware patterns, a collection masterly displayed makes quite a statement in the home! Rare oatmeal bowl with unusual, plain border. For reference, there are 3 recorded D numbers for this pattern – D4697, D4899 and D5066 and this ‘B’ pattern is not to be confused with the earlier ‘A’ pattern. Also, in the USA it is referred to as ‘Munchkins’.